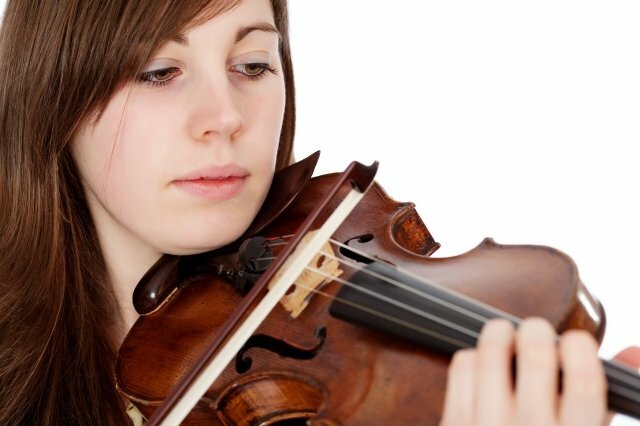 Catherine began studying the violin at the age of 5, achieved Grade 8 with distinction in 2005 and was awarded her ABRSM Performance Diploma in 2007. She graduated with first class honours from the Royal Welsh College of Music and Drama in 2011 and a Masters of Music Performance, with distinction, in 2013. She has studied with Roger Huckle (leader of the Bristol Ensemble), Peter Hanson (leader of the Eroica Quartet) and is currently studying with Lesley Hatfield, leader of the BBC National Orchestra of Wales. Through the College, she has participated in master classes with David Adams (leader of Welsh National Opera), Boris Garlitsky (Professor at Paris Conservatoire), Jonathan Rees and Rachel Podger. As a member of several chamber groups, she has received coaching from Jon Thorne (Badke Quartet), the Emperor Quartet, the Eroica Quartet, Felicity Lipman, Peter Esswood, Lucy Gould and Benjamin Frith of the Gould Piano Trio, as well as members of the Schubert Ensemble. Orchestral work is an important part of Catherine’s playing. At RWCMD, she has led the Chamber Orchestra and the Symphony Orchestra (guest conductors include Sir Charles Mackerras and Paul Daniel) and performed with the String Ensemble and the Opera Orchestra (L’etoile, Charbrier; Suor Angelica, Puccini; L’enfent et les sortileges, Ravel; Die Fleidermaus, Strauss; Le Nozze di Figaro, Mozart). Catherine has also played with Cardiff Camerata, Cardiff Sinfonietta and Sinfonia Cymru. Catherine was a member of the Menuhin Festival Orchestra 2008 (conducted by Maxim Vengerov, accompanying Joshua Bell and Hrachya Avanesyan). Catherine currently holds the position of No. 5, Violin I, with the Young Musicians Symphony Orchestra (London). I began teaching several years before my studies at the Royal Welsh College of Music & Drama and my interest in music education led me to take my Diploma in Instrumental Teaching (DipABRSM) in 2010. I have also completed, with distinction, the Advanced Teaching Skills module as part of the Masters of Music Performance. I believe that each student is unique and can enjoy and benefit from musical activity. Consequently, every lesson is tailored to the individual, taking into consideration their learning style, aiming to give a rounded musical experience. Lessons are engaging and cover a wide range of fun activities, including singing, games, duets, composition and aural training.